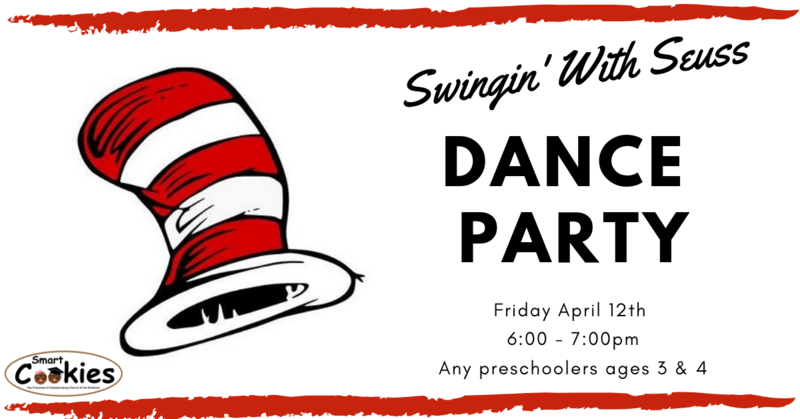 Bring your preschoolers out and dance the “night” away in a Dr. Seuss themed Dance Party. This event is open to any preschoolers ages 3 and 4. There will be a photo booth, snacks, and lots of dancing. The event will be held in the Brethren Life Center (gym) of the Chambersburg Church of the Brethren. You can park in the parking lot behind the church and enter through the glass doors. Let us know you are coming by filling out the form below. Hope to see you there!